Easter just passed and I’m jumping headfirst into Spring with these Lemon Cupcakes with Lemon Buttercream Frosting. My Easter was filled with family, friends, and great food… But this is the week I’ve been looking forward to for an incredibly long time. It’s finally spring break! Sadly, I can’t go anywhere for spring break this year. 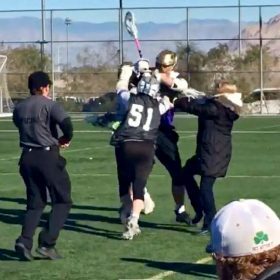 Our lacrosse team has three games scheduled over break with teams from California. Luckily, this gives me time to start working on the college application process and whip up some new recipes. Can you believe I’m getting ready to go to college already?? 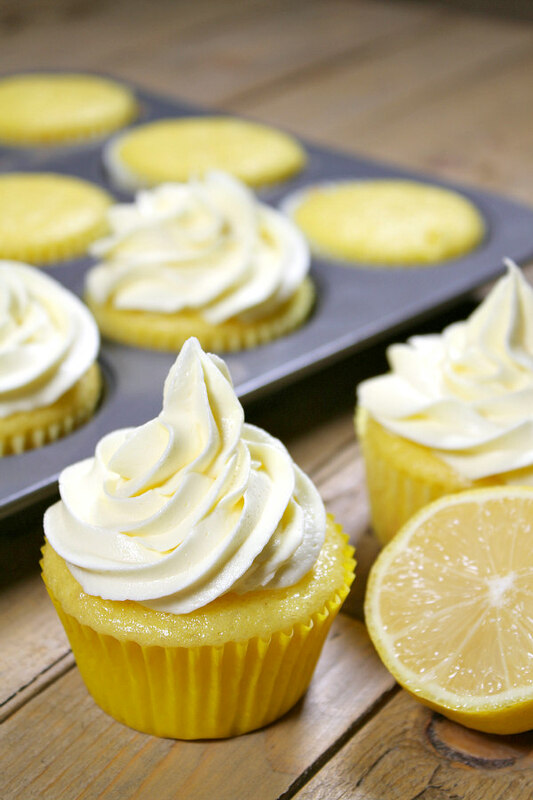 These cupcakes have just the right amount of lemon flavor. Not too much, not too little. They pair nicely with the lemon buttercream frosting. They’re nice and easy to make, too! I stuck with the yellow theme for these cupcakes. Lemon is the perfect flavor to mix sweet and sour in a dessert. For these cupcakes, that was the way to go. I added in a little bit of yellow food coloring to make the yellow pop more, but you can certainly leave it out if you’re not into using coloring. Frosting the cupcakes is easy, but it requires patience. With a little care, they look great. Perfect for any sort of event. Springtime means that it is the beginning of wedding season. 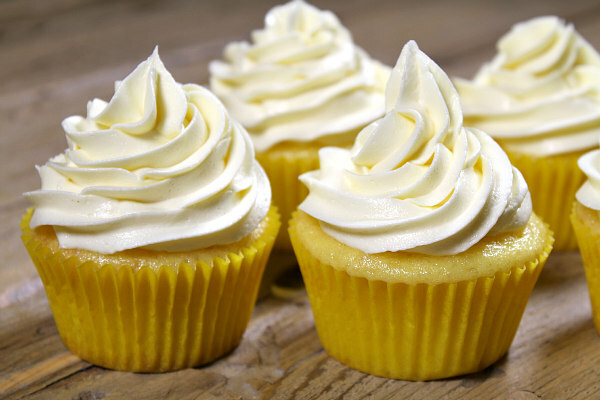 Lemon cupcakes make the perfect wedding cupcake recipe. They’re elegant as well as tasty! Delicious! 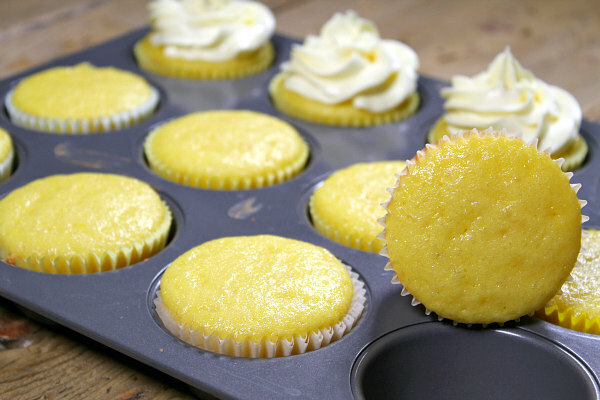 This lemon cupcake recipe is ideal for any occasion. They look fantastic. I’m no expert at frosting cupcakes, and see how great they look? That goes to show that anyone can make these with great results too! 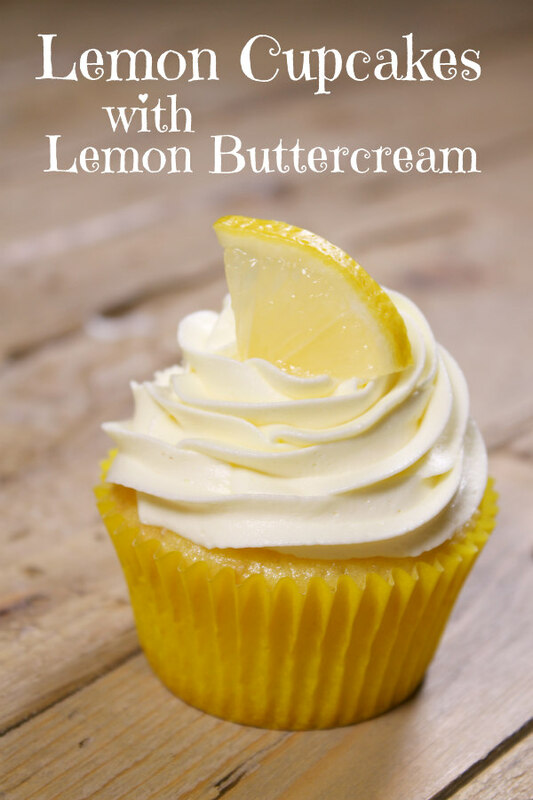 Lemon cupcakes with lemon buttercream frosting are amazing!! They are perfect for any occasion, whether it is casual, formal, or anywhere in-between. They taste fantastic and have the perfect amount of lemon flavor. I’d highly recommend making these and trying them. They do not disappoint! 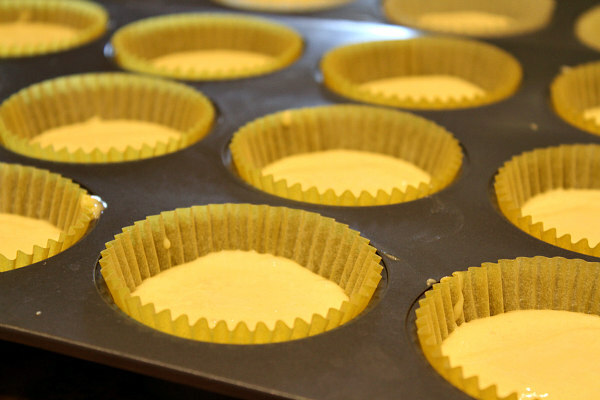 Preheat the oven to 325 degrees F. Place cupcake liners in cupcake pans. You'll need 36. In a large bowl, whisk together cake mix, flour, sugar and salt. Add remaining ingredients and beat with hand mixer for 2 minutes, or until well blended. Use an ice cream scoop to fill prepared cupcake tins- fill about 3/4 full (it's a nice, neat way to get the batter into the pans). Bake about 18 minutes, or until toothpick inserted in the center comes out clean. Set them aside to cool. 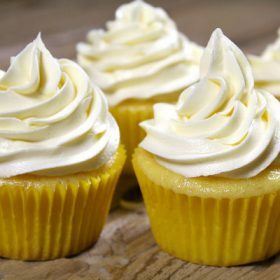 Since this recipe includes instructions for making a LOT of frosting to frost all 36 cupcakes, it's probably best to make it in three batches. 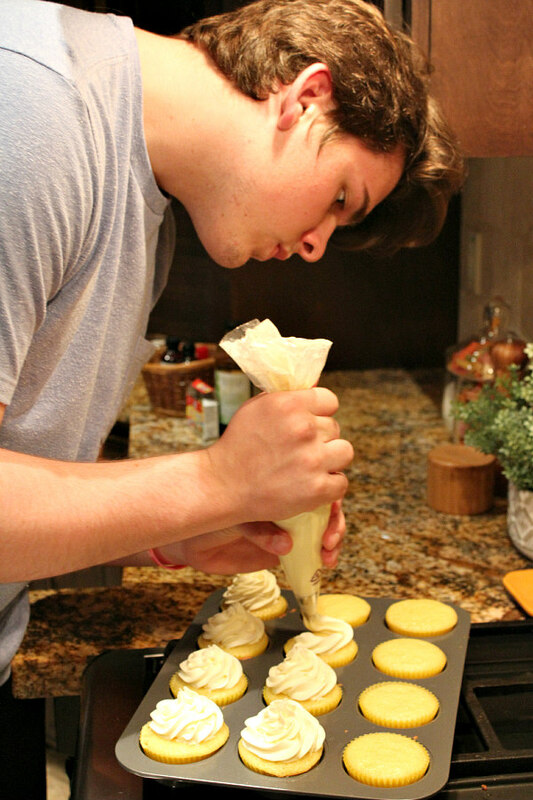 Plus, doing it this way will ensure that you can make it as you go to see how much you need (based on how much frosting you're putting on the cupcakes). Instructions for making in three batches: In a large bowl, with a hand or stand mixer, cream together 3 cups sugar and 2 sticks butter on low speed. Mix until well blended. Increase speed to medium and beat for another 3 minutes. Add 1 teaspoon lemon extract and 1 tablespoon cream and continue to beat on medium speed for 1 minute more, adding a little more cream if needed for desired spreading/piping consistency. Scoop into a piping bag and pipe decoratively onto cupcakes. 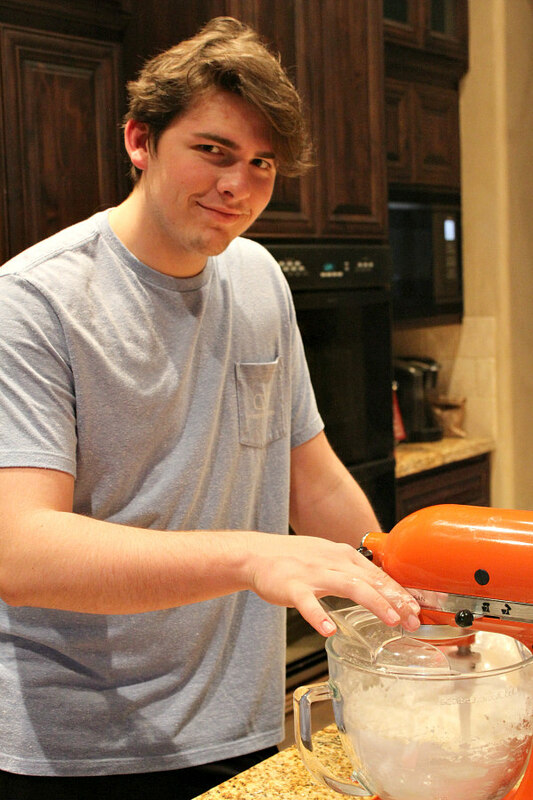 Hi Brooks, Thanks for taking time out of your busy schedule to share another recipe! Best wishes and prayers for God’s best for you in your college / application process. 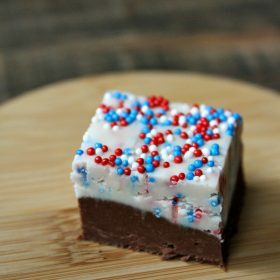 These look delicious, and I look forward to making them soon. Thanks again! These were a big hit at my daughter’s birthday party! I added lemon zest to the cake batter and frosting! Perfection!